This is a high energy, fast paced and very exciting addition to our Interactive Game lineup. The Interactive Play System, Inflatable Gaming Table and the Interactive Sports Cones will be enjoyed by all ages and are great for any type of party or event. Chose your competion, and the challenge is on. Challenge the players to touch as many lighted spots as they can. The interactive spots light at random and the players have to touch the spots as fast as they can when they light up in order to score. Interactive Play system and an Inflatable Gaming Table! 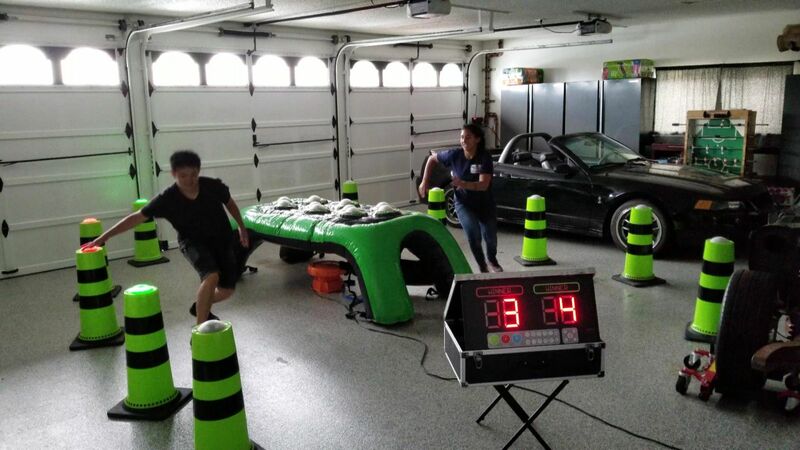 The colorful inflatable table has interactive spots wirelessly connected to the scoreboard to enable challenging games between players. You will challenge your hand-eye coordination, endurance and conpetitieness with the amazing inflatable game.